Hethir is the founder of Natural-Fertility-Info.com. She wants to live in a world where work is play, traveling to new places is the norm, and growing vegetables is foolproof. As a Natural Fertility Specialist, Hethir and her team have helped thousands of couples to get pregnant using natural fertility therapies and lifestyle changes. When she’s not working on herbal formulas or obsessing over research, you can find her in the field playing beekeeper, experimenting with waffle recipes in the kitchen, or playing with her son Tobias and spending time in the woods. Natural-Fertility-Info.com has helped couples prepare for healthy conception for over 7 years, connecting with over 900,000 visitors a month. 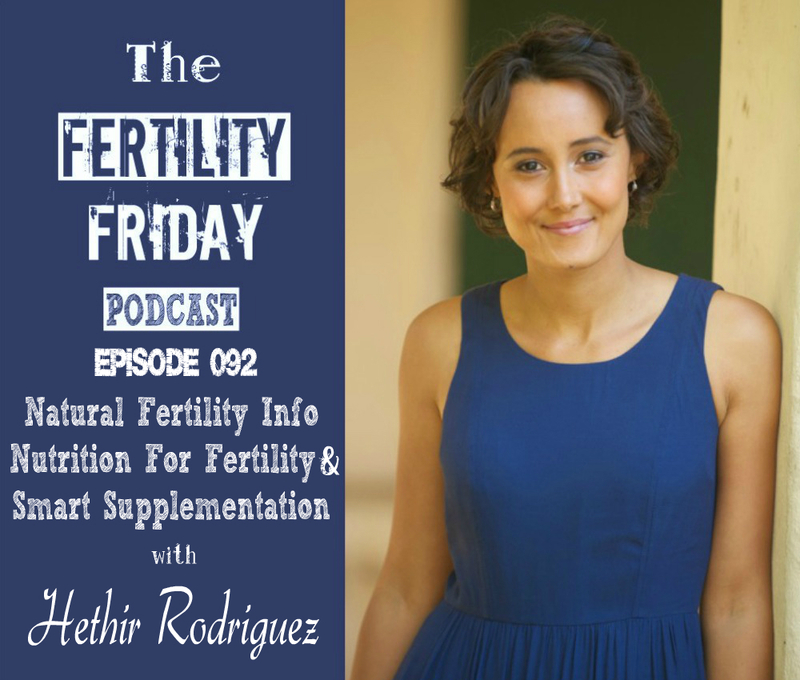 In today’s episode, we talk about the importance of preconception nutrition, nutrition for fertility and pregnancy, and we also talk about using herbs and supplementation to improve fertility naturally. How do diet and nutrition relate to the effectiveness of herbs and supplementation? What does a healthy diet for fertility look like? What is Vitex and how does it work? What is Maca and why does it have such a strong influence on hormone balance in the body? Why is Royal Jelly indicated for improving egg quality? Thanks Lisa for this excellent interview with Hethir! And thanks Hethir for using your fertility challenge to help many women. and improve their overall health.